What do you think tablets are best used for? Reading e-books like on a Kindle? Playing games? Maybe you've found you're most fond of watching TV. At least, that's what Motorola hopes, as it's making a tablet with Verizon that will stress its FiOS TV connection. Details are still early, but according to a Financial Timespiece we could see a new tablet in town as early as this Autumn. 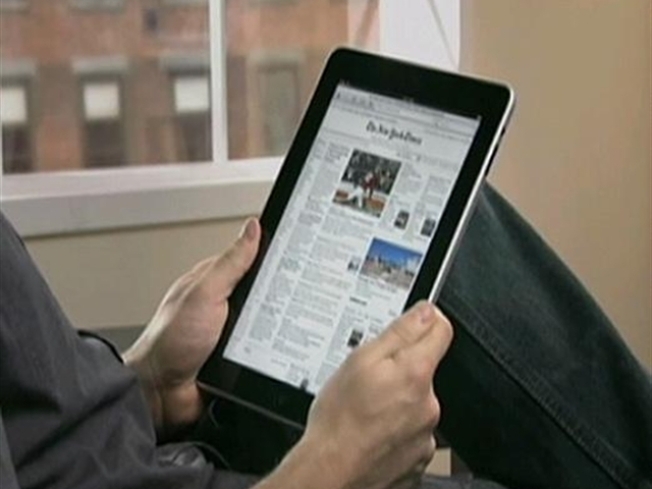 It's about time, too — everyone has really let the iPad run the show. So, what's Motorola's response? A 10-inch screen with cameras both up front and on the back — which sets it apart from the camera-less iPad — one for taking pictures and the other for video conference. The FiOS TV thing being one of the major selling points. Apple has its own plans to roll out television subscriptions, but for right now the iPad still has to rely on third-party apps from networks such as ABC and CBS. The Motorola tablet is supposed to run Android, making it one of many Google OS-powered devices racing to a market that's received the iPad really well.